PfEncryptor is a free file encryption and decryption software. It helps you to hide your important and confidential data. The program has a simple and intuitive user interface. It makes the encryption and decryption process very simple. It supports the AES, DES and TripleDES encryption standards. This software encrypts or decrypts files as well as strings. It supports binary encryption also. 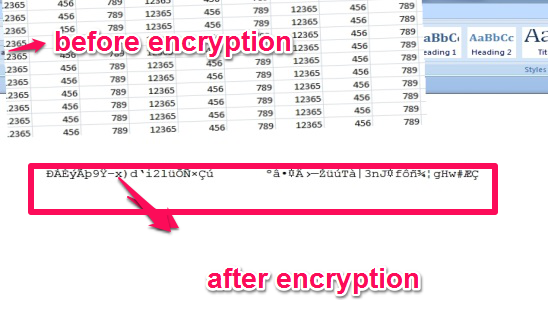 It gives option to save your encryption/decryption definition to files. How to install this free file encryption and decryption software ? 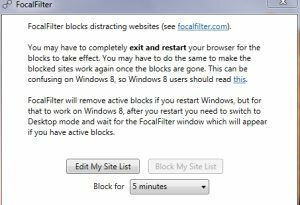 Download and install this freeware from the link given at the end of this review. It is available for download in the form of a zip file. 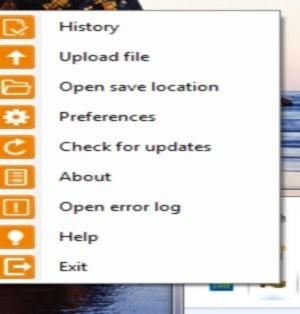 Download and extract the zip file to your PC. The setup file is 3.38 MB in size. Double click on the setup file to install this application. The installation is easy and simple. .Net frame work 4.0 is required to run this program. This program is compatible with Windows XP/Vista/7/8/8.1. 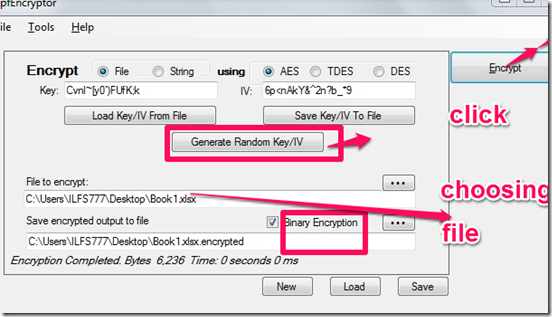 How to use this free file encryption and decryption software? Choose the option you wish to perform on your files. First you need to click on “Generate Random Key/IV” Button for defining a key. Then you need to choose a file or string for encryption. Here I chose a Excel file. 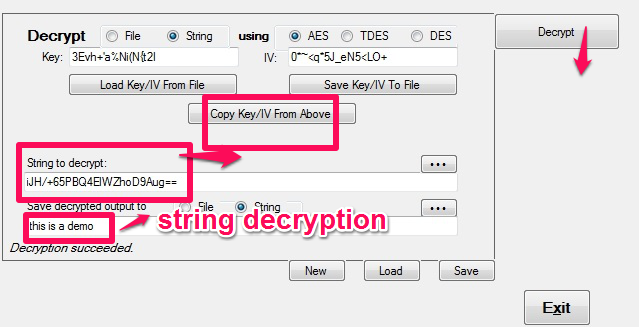 You also need to choose an encryption method for encryption, for example: AES, TDES, DES. 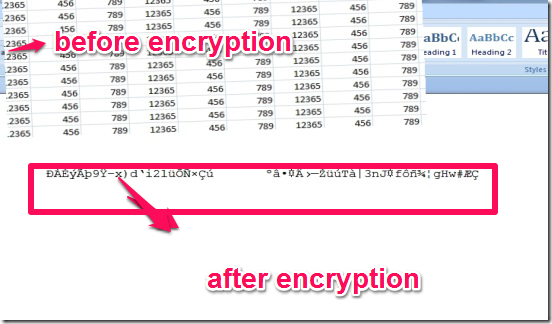 Specify the file path where you want to store encrypted output file. And the final step is click on the “Encrypt” Button. And it will encrypt the file. The output is shown below. 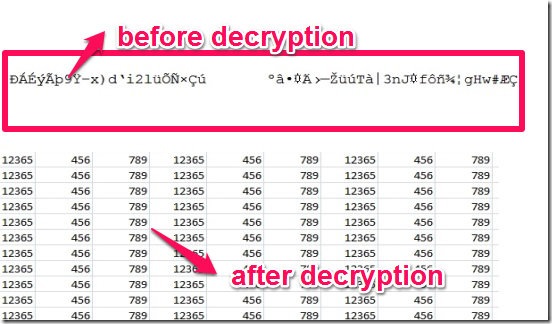 Follow these steps to decrypt file. If you saved key / IV value to a file, you need to provide those values first, by clicking on “Load Key/IV from File” in “Decrypt” section. Then you need to choose the file for decryption. You also need to choose the method of decryption (AES, TDES, DES). After that, click on the “Decrypt” button. And it will decrypt the file. And the final output is shown below. Let’s try to encrypt a string. In the screenshot below, I have added a string in “String to Encrypt” box. After clicking on “Encrypt” button, it shows me encrypted string in the box below it. 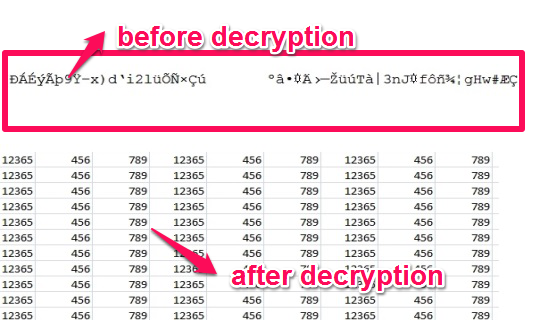 To decrypt the string, go to Decrypt section and provide the encrypted string alongwith key / IV values. It will decrypt the string for you. It keeps your documents and text files safe. It performs encryption and decryption very quickly. It supports powerful encryption standards, such as: AES, TDES, DES.
. Net frame work 4.0 is required to run this application. This freeware is compatible with Windows XP/Vista/7/8/8.1. This application can save the encrypted/decrypted output in the form of a XML file. 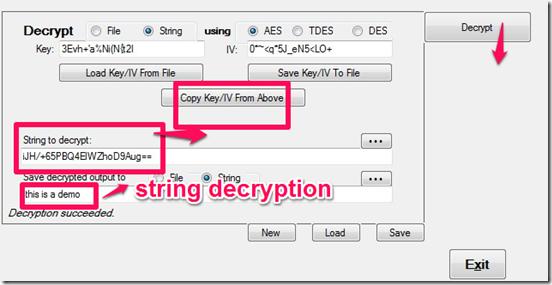 Both files and strings can be encrypted or decrypted by this application. You can also use this application to encrypt or decrypt files on a network or cloud storage. Also check out other file encryption software and text encryption software we covered earlier. PfEncryptor is a useful software for encrypting and decrypting important files. The best thing about this software is that it is free. It is lightweight and simple to use. If you are looking for a good and easy to use file encryption software, PfEncryptor is a good choice.